Table Tracker is the fastest table location system so you can deliver food faster. NEW - Table Tracker Basic SI is the affordable answer to increasing customer service & staff efficiency in smaller restaurants. 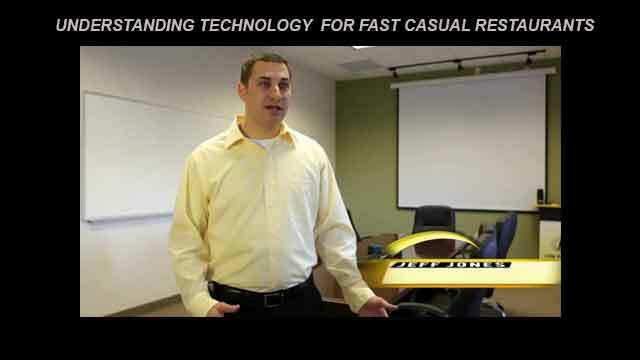 Table Tracker will increase service levels and eliminate losses from cold food deliveries. 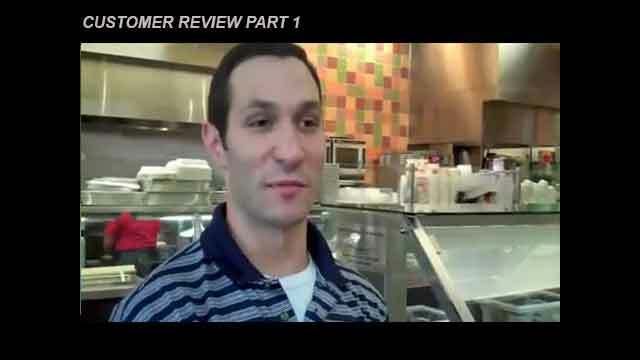 Online reporting shows problem areas and trends in your fast casual restaurant for informed management and control. Easily locate customers for fast efficient service. Superb reporting that can identify problem areas in the kitchen or food flow. The Table Tracker Location or TableLocator™ is the most effective way to find diners in your fast-casual restaurant. 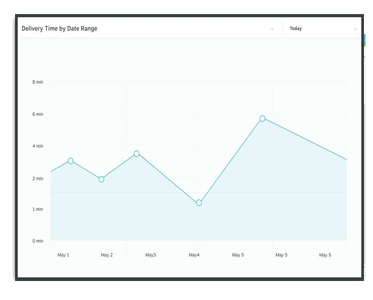 Table Tracker Reporting is the most useful way to determine EXACTLY what is going on in your business. 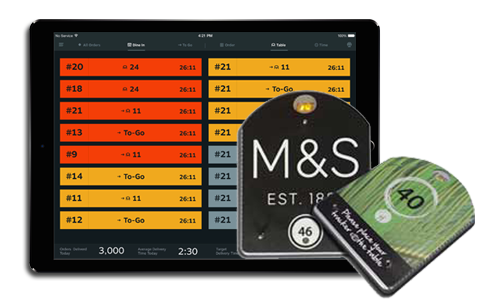 Table Tracker in the UK (United Kingdom) is being used by some of the biggest fast-casual restaurants around. Long Range Systems UK Offices offers a fantastic service for Table Tracker using fully trained employees. 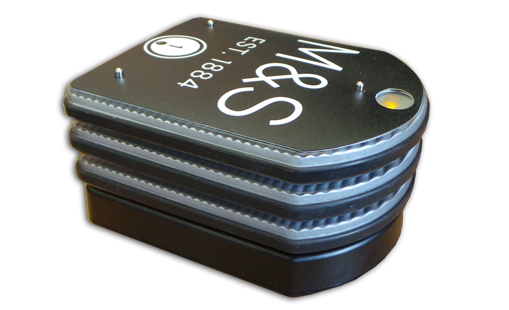 There is also now a lower cost table tracker called Table Tracker Basic SI which starts from just £2795.00* and is suitable for a 30 table smaller site. The offer is available NOW but this is a self install option with support from us directly. Learn more about Table Tracker Basic SI. 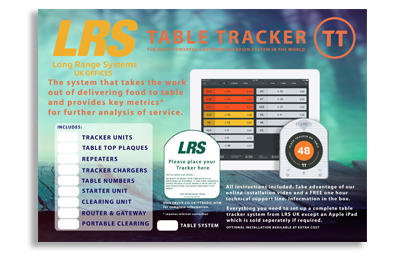 Table Tracker Basic SI is available from a number of outlets but all support is carried out by LRS UK so you can be sure of great support. Table Tracker is an advanced table location technology specifically designed by LRS to speed up food delivery in fast-casual restaurants; it elevates the guest experience dramatically. Here's how it works: Food runners simply check a Table Tracker or TableLocator™ computer screen; they can immediately locate the order and the corresponding table on the provided map; deliver food quickly and efficiently. Diners get their fresh, hot food faster so there are no refunds for cold food delivery; and food runners no longer have to wander around the restaurant looking for table numbers as they do in most fast-casual restaurants. The system comprises of a touch screen PC monitor (with Version 2) or an Apple iPAD tablet in V3 (really impressive on the iPAD PRO), a receiver, table tracker devices, starter and clearing units, a To-Go unit (if required and is optional) and lastly a map of the restaurant to help food runners find tables that we develop for you. The table tracker device, is smaller than a CD and less than a half-inch thick; it's a very unobtrusive device. Once the diner places the device on the table, the Table Tracker detects the table number automatically and sends information to the kitchen display. There’s nothing on the table taking up premium table space; table tracker ensures tables are turned faster and orders are delivered promptly with as few food runners as possible. Recently a group hospitality manager of one of the leading companies in the UK commented 'Table Tracker has really helped not only with speed of service but also by identifying where we can probe speed of service and make informed decisions with additional resource or cooking equipment. Before Table Tracker this would have been purely anecdotal. Now we can make investment choices based on facts'. LRS UK is the United Kingdom offices of Long Range Systems of Dallas, Texas, USA. This office has been open and serving customers since 2001. Our speciality is supply to the hospitality and restaurant industries although we do sell equipment to many other sectors too. For further information about the company or any of our products and services please do call 01782 537000 or fill out our contact form. for a more in depth view of our latest products. of the very latest from Long Range Systems UK. Copyright 2013-2018. Long Range Systems UK Ltd. All Rights Reserved. All Trade Marks Acknowledged.